We've been hoping for a while that Jeff Bridges will really get his movie of Lois Lowry's classic novel The Giver off the ground. And that it'll be as good as it deserves to be. 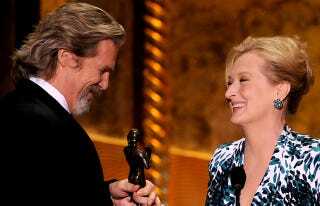 Now, there's a strong piece of evidence in favor of both notions: Meryl Streep could be joining the cast.